Can I pursue a third-party lawsuit if I was hurt at work? Employees who have suffered a life-changing injury may not be able to survive on the amount provided by Illinois workers’ compensation benefits. For this reason, it is a good idea to consider whether a third party could be held liable for the costs of your injury. If third-party negligence played a role in a work accident, an injury lawsuit could provide payment for permanent disability, income losses, and even the wrongful death of the worker. There are two notable differences between collecting workers’ compensation and suing a third-party. The first is that benefits provided under workers’ compensation are limited, while a third-party claim is not limited in the amount a victim can receive for pain and suffering and permanent losses. 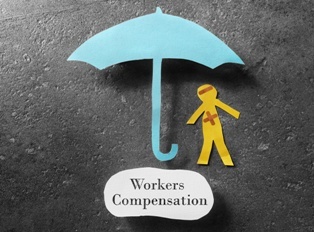 The second is that workers’ compensation is a no-fault system, meaning benefits are provided regardless of fault. 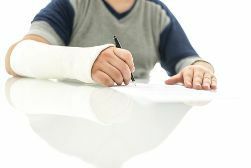 In an injury case, victims will have to provide proof of negligence—and the percentage of their own fault may have a bearing on the amount of damages they receive. Product manufacturers. Injuries that were caused by defective equipment or components may qualify for a product liability lawsuit. Manufacturers or distributors of dangerous products can be held responsible if the products were poorly designed, badly assembled, or did not contain proper warnings to the user. Property owners. 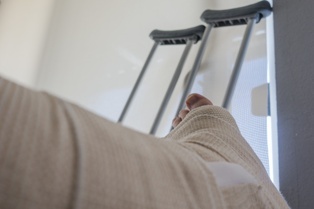 If you were injured while performing work at a location that is not owned or managed by your employer, you could be eligible for a third-party lawsuit against the property owner if he or she allowed a dangerous condition to exist on the property. Drivers. Work-related car accidents can occur if the victim is a professional driver (such as operating a taxi, truck, or limousine) or is performing a work-related task for the benefit of an employer. Employees who are injured in a crash may be able to file a car accident lawsuit against an at-fault driver. Independent contractors. If you were injured by someone at your workplace who does not have the same employer (such as an electrician on a job site or visiting guest at your workplace), you have the right to file a lawsuit against the person who caused your injuries in addition to filing a work accident claim. If you suffered significant losses as a result of a work injury in Illinois, our attorneys can help you maximize the amount of available benefits. Contact Tapella & Eberspacher today at 855-522-5291 or fill out our online contact form to schedule your free consultation. 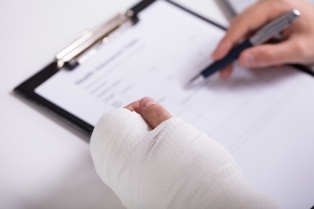 Can I pursue a workers’ comp case and a personal injury lawsuit? Workers’ compensation laws were created to provide payment for a work injury without the need to file a lawsuit. As a result, employees covered under workers’ compensation can only sue their employers if the employer intentionally caused harm. 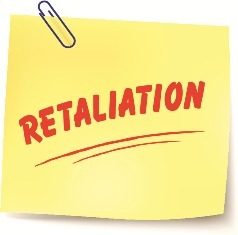 Intentional harm is usually limited to cases of direct assault, battery, or defamation. 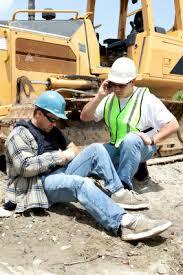 However, workers may file injury claims if someone other than the employer played a part in the accident. Although workers' compensation laws generally prohibit employees from filing injury lawsuits against their employers, there is no law against suing someone else whose negligence causes a work injury. These cases are called third-party lawsuits, since they involve someone other than the first party (the injury victim) and the second party (the employer). Type of injury lawsuit. The ability to bring a third-party case will depend on the type of laws and requirements of the type of case. For example, an injury caused by a defective product will be subject to product liability laws, while an injury on someone else’s property will require the knowledge of a premises liability attorney. Burden of proof. While workers’ compensation provides benefits regardless of who was at fault for your injuries, injury lawsuits require victims to provide proof of negligence in order to recover damages. In addition, the victim’s own percentage of fault in causing the accident will be considered when calculating the amount of compensation. Liens on damages. If your third-party case is successful, the employer’s insurance company will likely want to be paid back for the workers’ compensation benefits they paid to you. Insurers are allowed to place a lien on any damages you are awarded, and you may have to pay a portion of the recovery back to the insurance company. If you suffered a work injury in Illinois, our workers’ compensation attorneys can help you maximize the amount of available benefits. Contact Tapella & Eberspacher today at 855-522-5291 or fill out our online contact form to schedule your free consultation. Is workers’ compensation state or federal law? Most Illinois employees are covered under state workers' compensation statutes. The Illinois Workers’ Compensation Act requires all public or private employers, state agencies, firms, school districts, and cities and villages that have any person in service to provide workers’ compensation coverage—even those with only one employee. However, there are a few exceptions depending on the job description and the work performed. Illinois workers who are not covered under state workers' compensation may qualify for benefits through a federal law. On the other hand, some residents may be exempt from both forms of workers’ compensation, and may have to file a lawsuit to receive payment for a work-related injury. Federal employees. Postal workers and other U.S. government employees can collect medical costs, wage replacement, vocational retraining, and disability benefits through the Federal Employees' Compensation Act. Chicago police officers. The Illinois Workers’ Compensation Act covers all police officers and firefighters in cities with fewer than 500,000 people. As a result, Chicago firefighters and police officers will have to seek payment under the Illinois Pension Code, the Public Safety Employee Benefits Act (PSEBA), and other legislation. Real estate brokers. State law specifically bars real estate brokers, salesman, or any person performing real estate services who is paid by commission only from collecting workers’ compensation. Independent contractors. Independent contractors are not considered employees under state law, and are therefore ineligible for workers’ compensation. However, just because your employer has classified you as an independent contractor does not mean you are exempt from benefits. Farm workers. Many farm workers are exempt from workers’ compensation benefits, but some may be eligible for payments depending on the nature of their employment. 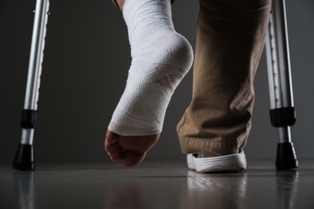 If you have been injured on the job, we can examine the facts of your case and advise you on your next steps at no cost to you. Contact the Illinois workers' compensation attorneys at Tapella & Eberspacher today at (855) 522-5291 or fill out our online contact form to schedule your free consultation. Generally, it will take 4-8 weeks from the time the agreement is reached until there is money in your hands. Once the settlement is reached, the employers’ attorney will need to draft the settlement contracts. The contracts are then signed by the attorneys and the employee and then submitted to the arbitrator handling the matter for approval. This process can take a few weeks by the time everything is circulated in the mail. Here’s how it works: Once the arbitrator approves the contracts, the employer’s attorney will order the settlement check from the insurer. 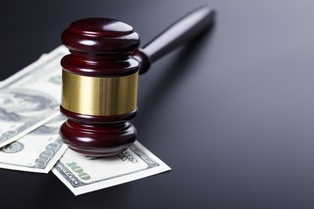 The settlement check is generally made payable to you and your attorney’s office. Therefore, you must endorse the check and then the attorney’s office must endorse the check. The funds are then placed in the attorney’s trust account until everyone is sure the check has cleared, a process that can take another two weeks. Once the check has cleared, the attorney’s office will make the final distribution from its trust account. Further delays can arise if the insurer fails to pay the settlement amount once the contract has been approved by the arbitrator. While there is no deadline under the Illinois Workers’ Compensation Act, which states that the insurer must send the check within a certain time frame, the employer and his insurer can have attorneys’ fees and penalties assessed against them if there is an unreasonable delay in payment. Although everyone is committed to providing you with the funds as soon as possible, the rules of distribution set out by the Illinois Supreme Court tell us that, even though the settlement has been reached, it will still take some time before the money is in your hands. Do You Need a Workers' Compensation Attorney to Help With Your Claim? If You have been injured at work, It's important to have a qualified and experienced workers' compensation attorney on your side. Contact Tapella & Eberspacher today at 855-522-5291 for a free consultation. Injured workers are not required in Illinois or Missouri to retain a lawyer for workers’ compensation claims. However, these cases are legal proceedings, and most employers and insurance companies will have an attorney present at all events. 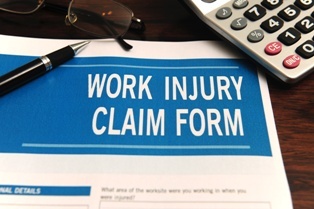 If an employee is filing a workers’ compensation claim, it means he or she has been injured or suffered an illness that will affect his ability to work and earn income, potentially for the rest of his life. The outcomes of these cases are legally binding and can seriously affect the future for the injured worker and his family. Why Hire a Workers' Compensation Lawyer for an Illinois or Missouri On-the-Job Injury Case? Present evidence to support his case if necessary. An experienced workers’ compensation lawyer can handle all these issues for the injured worker while he focuses on recovering from his illness or injury. Some simple workers’ compensation cases may be resolved quickly if the injury is not severe and little or no time off work was required. However, most cases involve some complication that could make it more difficult for an employee to handle on his own. Officials in both Illinois and Missouri suggest retaining an attorney in many situations. If the injured worker feels at all uncomfortable proceeding with the case. If you or someone you love has been injured at work, the experienced workers' compensation attorneys at the Tapella & Eberspacher Law Firm want to help. If you are ready to take the next step we invite you to fill out a contact form for a free, no-obligation consultation.